In another outrageous order, Judge James A. Haynes has ordered that the man who attempted to murder Bill Windsor may carry a concealed handgun in the Missoula County Courthouse. At Bill Windsor's criminal trial on January 5 - 6, 2016 at the Missoula County Courthouse, Sean B**shie and his wife, Wynette B**shie, may both be carrying handguns. There are no metal detectors in the Missoula County Courthouse, and there is no security screening whatsoever. No guards to pass by, nothing. There has been a bailiff in the courtroom just once -- at the last hearing where Bill Windsor had filed a motion seeking security, which Judge James A. Haynes denied. 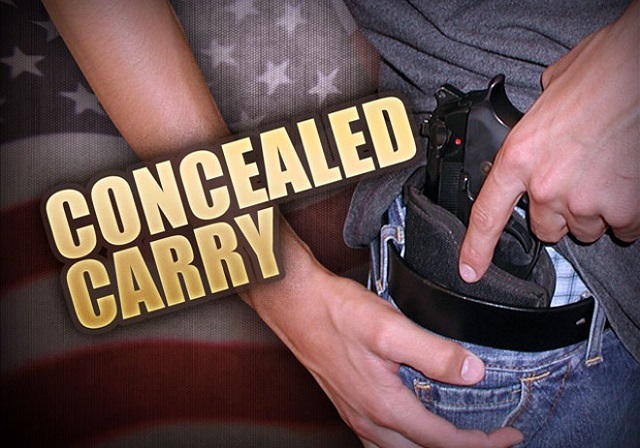 At a hearing on November 20, 2015, Judge James A. Haynes told Bill Windsor that he didn't see a problem with Sean B**shie carrying a concealed handgun in the courthouse. This is the same judge who Bill Windsor asked for a temporary order of protection against Sean B**shie on August 6, 2013 after he attempted to murder him as he drove from Butte to Missoula Montana and sent an email admitting it. Judge James A. Haynes denied that temporary order of protection saying Bill Windsor did not qualify because Sean B**shie had not been convicted. Now it appears that Bill Windsor will have to be murdered in the courtroom before anyone will stop Sean B**shie from terrorizing him. Not only did Judge James A. Haynes deny Bill Windsor's petition for a temporary order of protection, but he endorsed the actions of Sean B**shie. Meanwhile, one of Bill Windsor's bond restrictions on his emailing and filming a documentary criminal charges is that he may not possess a firearm. Bill Windsor's criminal trial is January 5-6, 2016 at the Missoula County Courthouse in Missoula Montana. There will be giant blow-ups of key exhibits, a video or two, some audio recordings, and witnesses who also received threats from Sean B**shie, one of the villains in the case. Bill hopes to have six (6) other victims there to testify. He plans to call the judge and the prosecutor as witnesses. That should be fun. There will be autographed full-color Wanted Posters for all who attend, so please come. When Lawless America...The Movie gets nominated for an Academy Award, the autographed Wanted posters should be worth some money. Guests will be staying at the Staybridge Suites. Use my name when you make your reservations, and ask for the fourth floor so you can have Amber as your housekeeper. Bill Windsor will do a special filming after the trial in Missoula. He wants to try to get as many victims as possible to come to the trial. Then he will film a group session followed by filming of individual stories. So, if you are in Montana or have friends there, please ask them to participate.